A senator who is clearly identified with opposition to free-trade deals triumphs in a state that has been particularly hard hit by those pacts. The political and media elites that see most of America as “flyover” country have never quite understood that trade policy matters. But in cities like Flint and Pontiac and Grand Rapids and Detroit, cities that have been ravaged by the offshoring of jobs and the closing of auto plants, it does matter. That is why Bernie Sanders and his campaign strategists always believed they would run better in Michigan than the polls and pundits suggested. It turns out that Sanders was right. 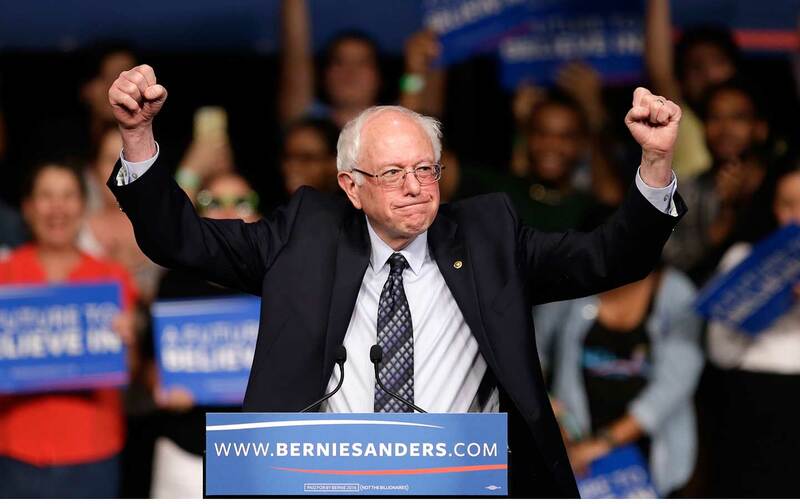 On Tuesday, to the surprise of almost everyone, the candidate that so many commentators had been trying to write off just hours earlier won the biggest victory so far in his campaign for the Democratic presidential nomination. Sanders beat Hillary Clinton, the front-runner for the nomination, by a narrow margin—around 20,000 votes out of almost 1.2 million cast. But in a contest where Clinton has hailed narrow wins in Iowa and Massachusetts as big victories for her, the Michigan win counts as a big victory for Sanders. And it was made all the more consequential because poll after poll after poll had suggested Sanders was far behind the former secretary of state. Sanders still faces an uphill climb. Clinton has won more of the pledged delegates that are needed to secure the nomination. She just added to her total with a big win in Mississippi on Tuesday. And she has a huge advantage among the unpledged “superdelegates” who have always provided her with a cushion in this contest. But it would be difficult to underestimate the significance of the Michigan win for Sanders. How did he secure it? Clearly, Clinton’s attempt to suggest that Sanders had not supported the 2009 bailout of the auto industry failed. Voters just did not buy the claim that the senator, who has a long history of battling on behalf of industrial workers and American manufacturing, had been on the wrong side of that issue. But there was more to it than that. In the same Sunday night debate where Clinton was talking about the auto bailout, Sanders was speaking specifically, and aggressively, about his opposition to trade policies that working people in Michigan associate with economic damage, dislocation, and decline. Throughout his campaign, Sanders has highlighted his past opposition to the North American Free Trade Agreement and normalization of trade relations with China—and his absolute, unequivocal opposition to the proposed Trans-Pacific Partnership trade deal. Clinton, who in 2012 announced that “this TPP sets the gold standard in trade agreements,” now says that she too is opposed to the proposal. That was a winning line for Sanders in Michigan. Sanders campaign manager Jeff Weaver said “this issue of trade policy” was the key to the Sanders win in Michigan, noting that Sanders had steadily opposed the agreements, while Clinton had often backed them. Weaver argued that the issue “resonated across racial lines,” pointing to exit polls that had Sanders winning more than 30 percent of the African-American vote in Michigan, far more than he received in Southern states that voted in late February and early March. Those same exit polls showed that almost 60 percent of Michigan Democratic primary voters believed that flawed trade policies cost jobs—and they overwhelmingly favored Sanders. Voter attitudes about trade policy are rooted not in theory but in experience. The free-trade model that has been promoted for decades by Democratic and Republican presidents, along with Wall Street interests and multinational corporations, have failed American workers and communities in states like Michigan. They have also failed workers and communities in Ohio and Missouri and Illinois—states that will vote on March 15—and in later-on-the-calendar states such as Wisconsin and Indiana and Pennsylvania. For voters in the industrial heartlands of the United States, trade is a fundamental issue. It influences how working men and women vote. And, in Michigan, on Tuesday, it was with that issue in mind that they cast their ballots for Bernie Sanders.